Hey all, GFS and ACCESS models looking thick for the rain ahead for the region. However we better focus one day at a time. 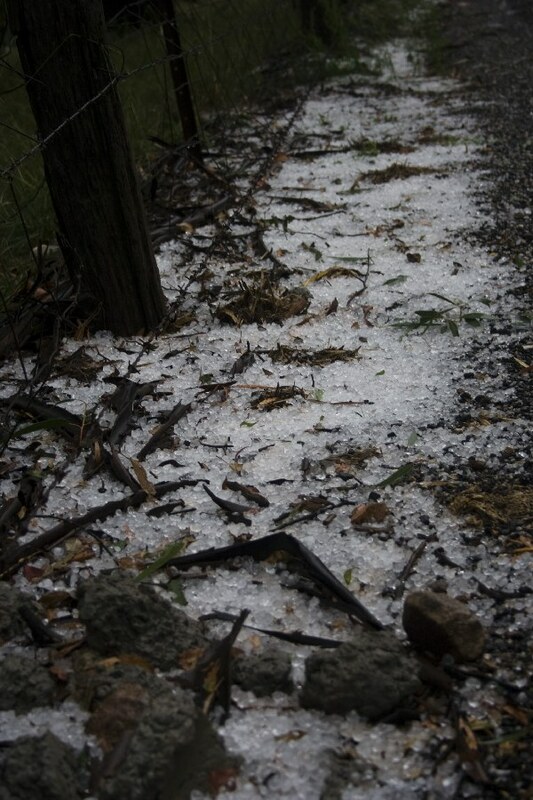 BoM saying possible hail with scattered showers and thunderstorms for the first time today for Northern Rivers. Not sure if this good thing but i can see the windshear is improving. Has been pretty stormy over the last few days. 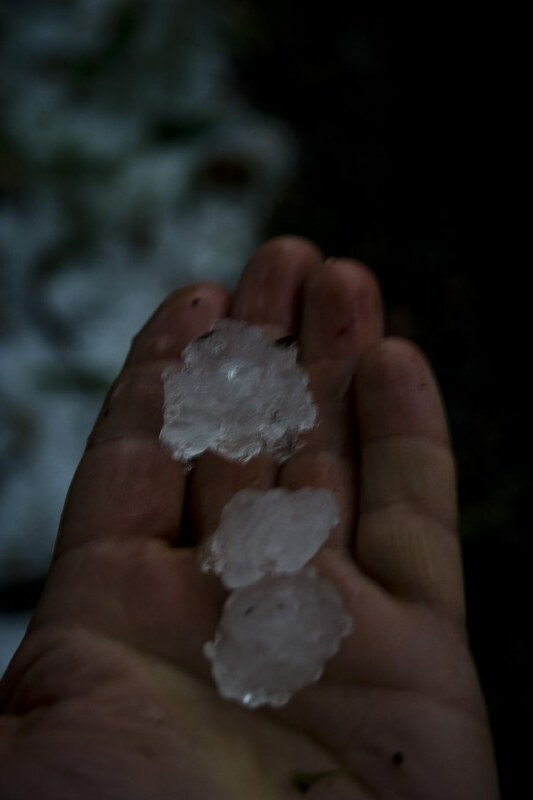 Been some small hail about in my area also (around 6mm). We were out on storms from midnight until 2am this morning. There were 4-5 that we could see, sitting around the horizon from our West to North to East. Lightning was very active though a lot was hidden in the dense rain cores. I will post a shot or two today at some point. The mosquito's almost carried us off! Rain has been minimal as the storms have mostly skirted around the town area. We only picked up 10mm from the previous storms earlier in the week but wind gusts were very strong! It was enough to blow the guttering off my mums house and break a few branches of large trees here and there. Been fairly showery this morning. See what develops a bit later on. The Weatherzone forecast for Sydney next Tuesday is interesting, though it has changed from Possible Shower to Showers since this afternoon. What hasn't changed is Chance of Rain 90%, Rain Amount 40-80mm. That seems like some pretty serious showers to me, especially given that 6 hours ago they were only possible. Some rumbles here later this afternoon off in the distance, apparently Lithgow got hit with a downpour that collapsed a retaining wall rupturing gas and water mains, and there was also a landslip over the road in the mountains. Some of the cells up towards Coonamble looked nasty as well, and the NE looks like it is getting a fair soaking again. Flooding occurred in Lithgow with tree branches down and no doubt blackouts I would assume given the amount of powerful bolts around. Lismore just peaked 4.05 metres this morning (below minor flood level). Ballina scored 147mm of rain so far and now expecting to worsen from today according to the low developing. Some very heavy rainfalls in the area south of Gympie yesterday and overnight - though quite localised. today with a peak expected during Sunday of around 9 metres, possibly higher. Creeks. Further rain is forecast. and are expected to fall through today. Meanwhile, a renewed flood watch has been issued for the NSW Northern Rivers. This area along with SE QLD is in the firing line for very significant falls Sunday to Tuesday. Note: This Flood Watch is a "heads up" for possible future flooding and is NOT a Flood Warning [see note below]. 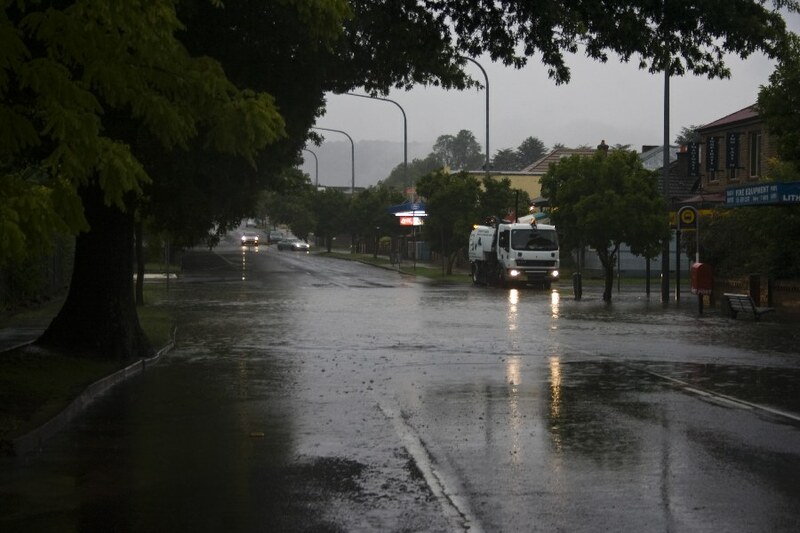 Further heavy rain is predicted for the NSW northern rivers from Sunday to Tuesday. Boy there's some nice storms kicking around this season! Great coverage by all! Very interesting reading and some amazing photos. I have one of the only CG shots that I managed on the early morning's storms from Wednesday the 5th. There were several storms still highly active by the time I returned home around 2am. We almost got carried off by mosquito's and made getting out almost impossible. We were still getting badly bitten even when using plenty of Bushman's Repellent. No fun at all. These storms dumped 10mm in town but the bulk of the intense cores visible were mostly out to our North, sitting up around the border towns of Angledool and Hebel. I'm keeping an eye on the Narran River heights now and again also. Seems this flood will be around a metre higher on average for some rivers in this area than the March 2010 event according to the BoM. The photograph below was taken around 1:20am and is looking almost straight North of the Ridge. The cell was moving left to right across this photo. Yeah the mozzies !!! Geez they even got to Rodney when we were in Narrabri on Monday evening and he's normally the last person they touch. No bad mosquitos around my place despite all the rain. Most definitely! They are a real pest to say the least. We too have noticed they aren't "so bad" in town, but head out into the surrounding bush and you just about need to be wearing chainmail armour to stop the little so-and-so's. I was being attacked through a long sleeved thick cotton shirt and jeans! I might not go out again unless it's really necessary ie; furious CG hitting very close to town surrounded by insane structure! That's not asking much is it? lol. Looking like a decent rain event for the N-NE N.S.W. area over the coming days. Should be an interesting few days. Flood warnings and severe weather warning is in place for us from this afternoon. BoM are looking at 70-100mm before 2pm as this rainband arrives however this could lead into major flooding for Richmond and Wilsons. Wilsons River at Lismore is peaking for 2nd time around 4pm this afternoon, as this rain arrives it will make it worse. Ballina scored over 255mm over for past 6 days now and it going to be doubled in next 24hours! So far 8 confirmed dead from Toowoomba. 71 (updated) Missing and I think all up another 12 people dead from the start of the flooding up here. At least 20 deaths and that number will rise. If you want to follow what unfolded as it took place please read WZ forum http://forum.weatherzone.com.au/ubbthreads.php/topics/926313#Post926313 especially from page 188 - 214. later pages has a lot of disturbing images as they became available. We are a long way from being out of trouble up here. 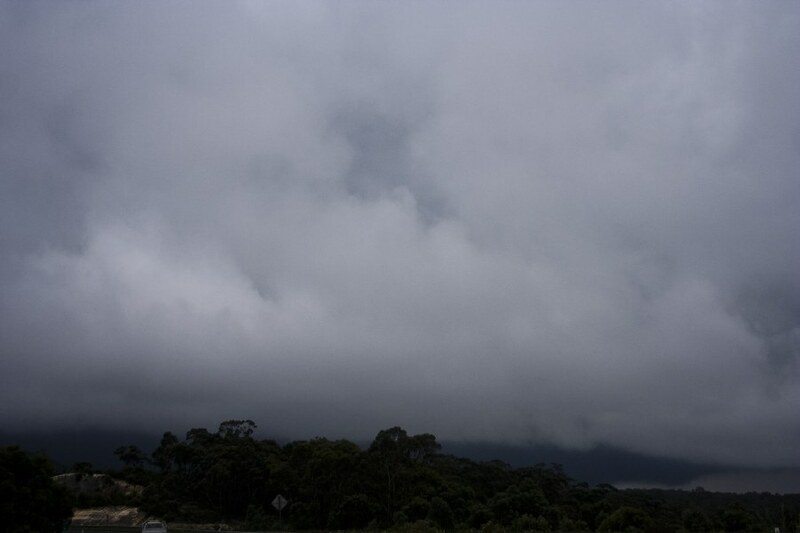 Steady rain here since early morning with occasional torrential falls and very close CG lightning. Lot of things still happening on our side and the event hasn't even started for NR 'yet'! Even though not even over yet. Wilsons and Richmond Are under high alert for major flooding from this afternoon when the rain coming in. The Wilsons River at Lismore was 5.04 metres and near its peak at 7.05am this morning [11/01/11] with minor flooding. The Richmond River at Kyogle Peaked near 13.4 metres at 11pm Monday [10/01/11] with minor flooding. 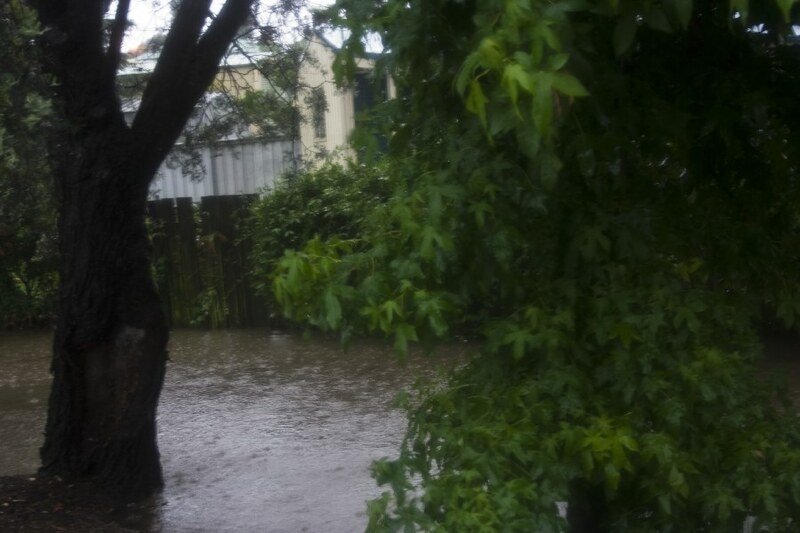 The Richmond River at Casino Road Bridge was 8.4 metres and rising at 7:55am this morning [11/01/11]. Minor flooding is current at Coraki and Bungawalbin. Further rainfall is forecast for the next 24 hours which could result in increased flooding in the Richmond and Wilsons River Valleys. The situation is being closely monitored and revised predictions issued if necessary. A Flood Watch is current for renewed moderate to major flooding along the Richmond and Wilsons River for the next 2 days. Peak near 5.1 metres around 10am today [11/01/11], with minor flooding. Peak near 9.2 metres around midday today [11/01/11] with minor flooding. Reach 4.5 metres around midday today [11/01/11] with minor flooding. Reach 4.0 metres this afternoon [11/01/11] with minor flooding. The next warning will be issued at 1:00pm Tuesday [11/01/11]. So the river is only under flood watch at the moment. The Clarence River at Grafton going for a major peak of 7.6m later today which is only 30cm below the top of the levee wall. Doesn't get up that high too often. Major flooding downstream to Maclean too. Tenterfield copped serious flooding yesterday as well. It's normally just a small creek through that area at an elevation of 800m, but 230mm in quick time will do that. Certainly no rainfall intensities like Toowoomba and elsewhere. I think it's the first time I've seen footage of flooding in Tenterfield.